This article came to my attention and the “experiment” provides saddening information. 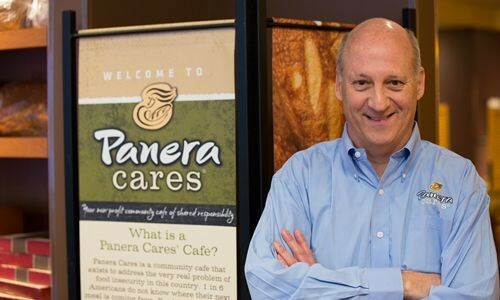 The CEO of Panera Bread, Mr. Ron Shaich is currently sustaining himself on $4.50/day for the week. Why $4.50 you ask? That’s the amount allotted to those eligible for Supplemental Nutrition Assistance Program (SNAP). With only $31.50 for the week, it’s been a humbling experience for Mr. Shaich, as he can’t even afford his own Panera bread dishes if he wanted to. What has he been eating? He had dry cereal and water for breakfast and then chickpea soup for lunch and dinner. Panera Bread has made taken the initiative and has opened 5 Panera Cares Community Cafes where people can pay whatever they can for the meal. I’m glad to see Mr. Shaich took on this experiment and is able to see the harsh reality that 1/6 Americans experience on a regular basis. My intention isn’t to downplay SNAP’s generosity, but shed more light on the aspects of national hunger that could use improvement. I’m not sure what the solution is, but by providing awareness of what’s the root cause of the issue is.